This week has been action packed and very interesting, so I thought I’d share the experience with our social media friends. I started the week with a very productive meeting working with a school to streamline their curriculum, and it was definitely an hour well spent showing the school how to use our new curriculum content editor. 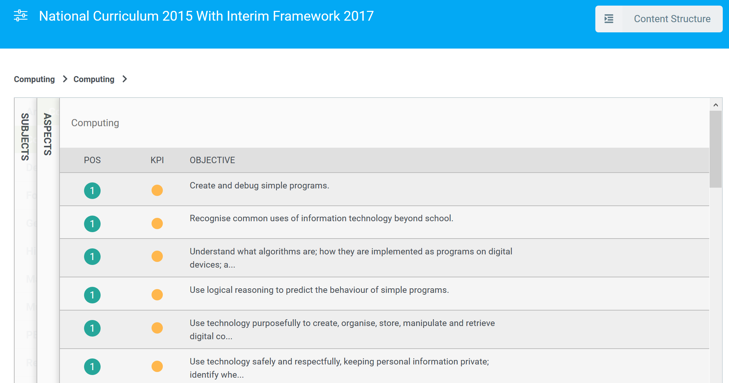 The school really liked how easy it was to delete, clone and add new statements and are now tracking using a simpler curriculum. Next up was a support meeting where we got talking about how the school could track Times Tables. 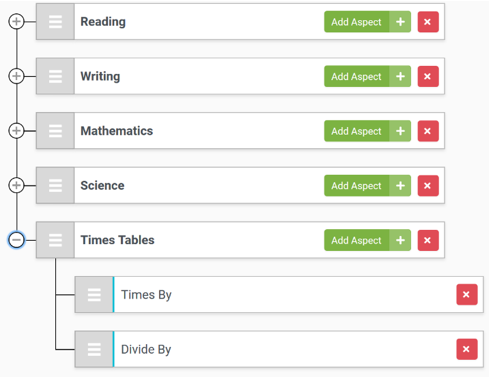 I suggested we add Times Tables as a subject to our formative assessment tool. This was easily achieved again using our content editor, and the school is now trialing tracking Times Tables each term. Finally, during a demonstration of OTrack we discussed measuring progress using ‘age in months’. The school uses Cornerstone’s tests and they like how each term these tests, in conjunction with OTrack, can show progress alongside their usual point in time teacher assessments.